It was a very special day for me yesterday. I was visiting Vadodara, the historic and culturally rich place for the first time. I had heard about Swami Vivekananda staying there at the Dilaram bungalow more than a hundred years ago. This was indeed a place of pilgrimage for me. I was invited to speak at the International Youth Conference held there on the 10th and 11th. 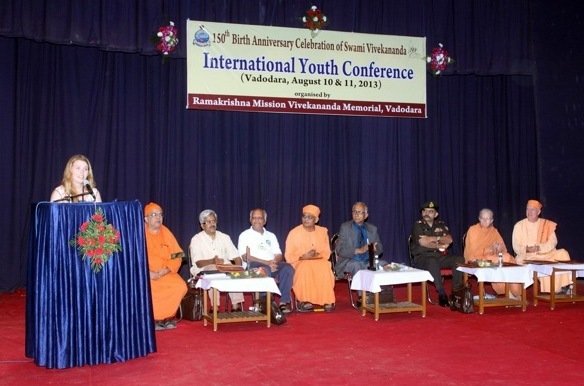 Swami Nikhileswaranandaji, President of the Ramakrishna Mission Vivekananda Memorial at Vadodara was organizing this event. The ashram is built around this Dilaram bungalow and the prayer hall is still located in this very same bungalow in which Swami Vivekananda stayed for a few days in 1892. There were more than 750 young men and women from 24 countries attending this event. There were youth from Bangladesh, Afghanistan, Russia, South Africa, USA and other places. What a joy it was to see such highly charged-up youngsters! I also felt honoured that I was one amongst the galaxy of speakers. There was our former president Dr Abdul Kalam, Dr Sam Pitroda and Dr Bikas Sanyal from UNESCO, apart from senior monks of the Ramakrishna Order. 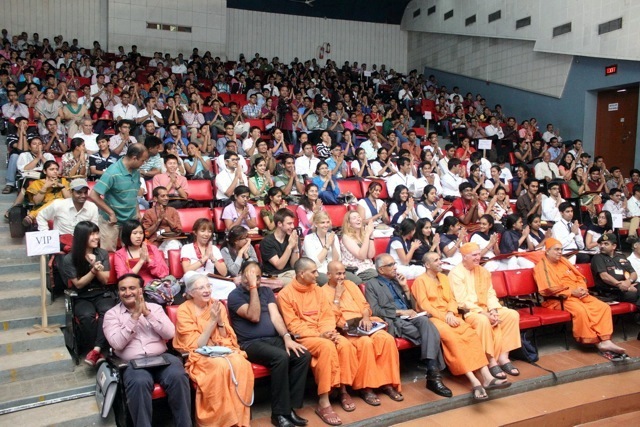 My talk was received very well and I felt the spirit of Swamiji and his message pervading the entire venue. The speeches by the ten young people from different countries were really inspiring. All their aspirations seem to be having societal good in common. How wonderful it was to see the energy in their eyes, faith in their hearts and Swami Vivekananda on their lips! So much positivism in them! This gives hope that the world will surely be a better place in their hands. I left the venue very inspired. It was a joy to see and feel Swamiji in action here. There was so much vibrancy that one cannot but be touched by the presence and power of his message. I am really thankful to the Ramakrishna Mission for creating another opportunity for me to feel recharged all over again. Celebrating 150 years of Swami Vivekananda’s birth has not only given me a reason to rediscover Swamiji and his message, but has also led me to so many Ramakrishna Ashrams around India and meet such wonderful and respected monks of the Order.